iiaa Live Videos go live! | iiaa Ltd | The UK and Ireland distributor of Environ Skincare, jane iredale makeup and Advanced Nutrition Programme. iiaa is breaking new ground in the industry with the launch of a series of new videos this month. 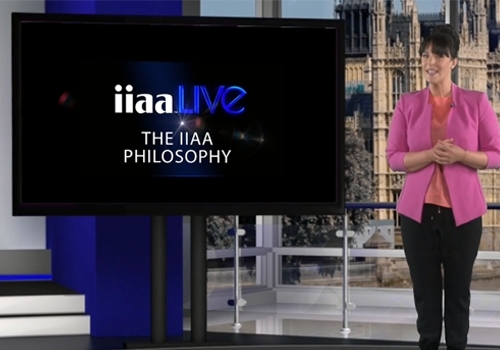 We will be broadcasting a number of short educational programmes, the first of which we filmed recently at our exciting TV-style iiaa Live event. Our aim is to enrich your experience of our brands and expand your knowledge of the fantastic ingredients and techniques that you can use every day in your work. Each programme lasts just a few minutes, giving you a ring-side seat at our virtual conference. Our aim is to offer material rich in educational content that is ideal to show to your team of therapists at a time and place that suits you. The first two videos filmed at our iiaa Live event are now online. Watch out for new releases each month!